Welcome to the April edition of the Loddon Valley Link. This is our Easter edition. The basic rule for determining the date for Easter is that it is on the first Sunday after the first ecclesiastical full moon that occurs on or after March 21st (obvious really). This beginning date, was chosen because it is usually the vernal equinox (generally, the first day of spring). Easter, one of the oldest Christian traditions, is the celebration of the last week of Jesus’ life, his death, and his resurrection. For Christians, Easter symbolises the dawn of a new life and the high point of the Christian calendar. While defined as a Christian holiday, Easter has many of its roots in the traditions and rituals of the pagan people who inhabited the United Kingdom before its wide spread conversion to the Christian faith. Scholars believe that Easter was named for “Eostre”, the Anglo-Saxon goddess of the spring. Another packed edition this month. We have all the usual reports plus a centre page spread from my local Cricket Club. Sherfield Village Hall has a new floor but needs a lick of paint, p13. 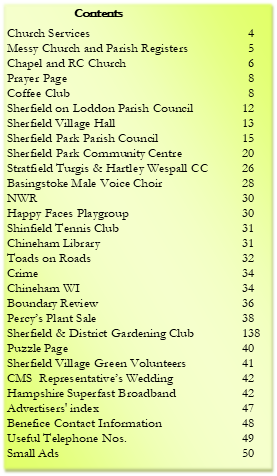 The Sherfield Village Green volunteers have been hard at work, p41. Following on from Old Basing Tennis Club’s appeal last month, Shinfield are also looking for new players, p31. Our ward boundaries are changing next year, p36 and we’re (nearly) all moving to Bramley. We’re also happy to report that our CMS representative in Uganda has wed, p42. This month's cover picture, Sherfield Village pond, was taken by Venetia Rowland. We’ll be running our cover picture competition again this year so keep your images coming in. To advertise in the Link click here for instructions. 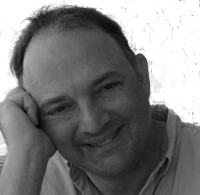 Site Last Modified: 28 March 2019.